Dialflow regulator provides accurate and repeatable control of medical oxygen flow directly from high pressure cylinders. Dialflow Meters enable rapid selection of repeatable flow rates. Each unit has 12 discrete settings, making it quick and simple to adapt gas flow delivery to a patients needs. Medical pressure regulators provide a safe, convenient way of connecting high-pressure gas cylinders to flowmeters, ventilators and other equipment. Incredibly tough and reliable, OASIS withstands the pressure in an emergency. BPR Hose Assemblies ensure reliable and safe delivery of low pressure medical gases and vacuum. The Domiciliary Oxygen Switch simplfies installation of semi-permanent piped home oxygen systems. The switches are used to control the flow of oxygen, normally from an oxygen concentrator, by directing it to any room in the patient's home. 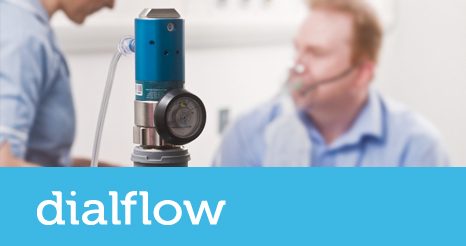 Dialflow features a range of meters and flow and pressure regulators that enable you to provide medical gas safely and accurately, providing the very best patient care. 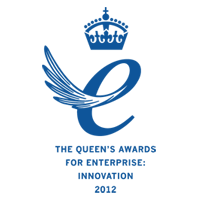 As with all our ranges, our Dialflow products go through stringent testing to ensure market-leading performance, safety and reliability. Provide accurate and repeatable control of medical oxygen flow directly from high pressure cylinders. Enable rapid selection of repeatable flow rates. Each unit has 12 discrete settings, making it quick and simple to adapt gas flow delivery. Provide a safe, convenient way of connecting high-pressure gas cylinders to flowmeters, ventilators and other equipment.